What's your dream egg donor matching software? 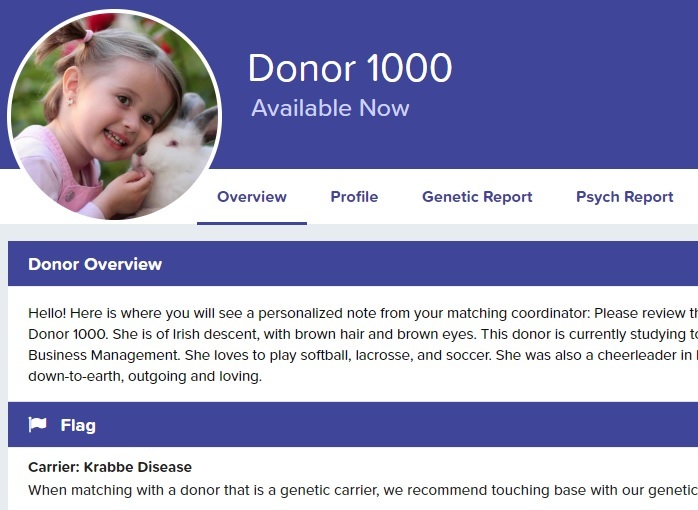 Designed for intended parent satisfaction - a fun and easy way for intended parents to view your donors, and match online. Beautiful donor profiles - our elegantly designed donor profiles will make your donors look better than ever. 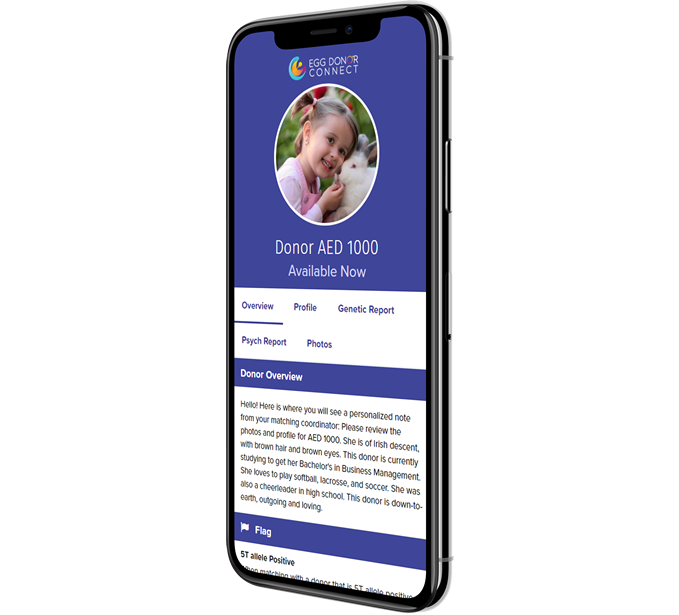 Mobile-friendly - intended parents love being able to view donor profiles immediately on their phones. Your branding - your clinic or agency's logo, colors and look & feel; so the entire application reflects your brand. Built to save you time - we worked closely with clinics and agencies to automate and simplify the job for your coordinators - so they can focus on what they do best. Intended parents see your donors through the lens of the donor profiles. That's why we created donor profiles that showcase your donors in the best light possible. Whether your coordinators share donor profiles one at a time, or you share your entire donor pool with intended parents; we fully customize the donor matching around how your clinic or agency operates. Our industry-leading donor pool technology makes it simple for your intended parents to filter your pool to find their favorite donors, favorite donors to come back to later, and you can show donors who are "pending availability" to increase the size of your pool. Intended parents are on their phones more than ever, and have come to expect all websites to be mobile-friendly. Unfortunately, many of our competitors' software doesn't work well on a phone. We created Egg Donor Connect with a mobile-first mentality, so every aspect of the intended parent experience works flawlessly on a phone. As soon as one of your intended parents receives an email inviting them to view a donor profile or your entire pool, they can tap a link on their phone and continue the journey to find the perfect donor. In addition to offering a world-class experience to your intended parents, we know how busy your third-party coordinators and staff are. We have invested a tremendous amount of time with clinics and agencies to learn what the pain points are for staff. With the IVF communities feedback, we've createed software that saves you time so you can focus on communicating with intended parents instead of administrative tasks.